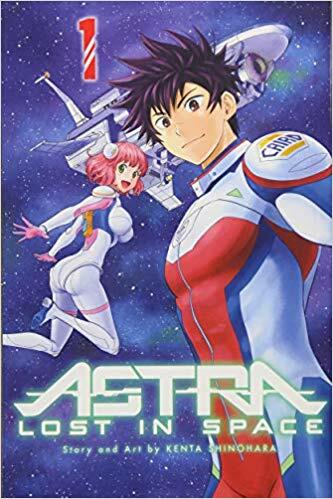 It’s time to look at a space exploration manga that is pretty unique compared to the other manga titles I’ve read in the past. I haven’t actually read a classic sci-fi adventure like this one before. It’s a pretty fun premise and I don’t think the series ever overstays its welcome. It’s just a solid series all around. There are a lot of twists and turns along the way, but I don’t believe any of them would hurt the series upon a re-read. If anything you’ll probably just examine all of the interactions even more. The series starts with a group of kids getting ready to go to camp. It’s a planetary style camp instead of a traditional summer one as this series takes place in the future. 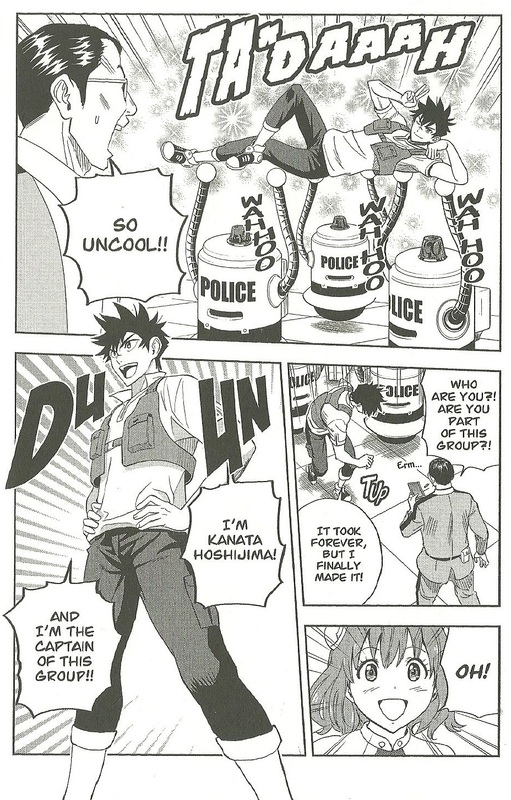 The leader of the group is a guy called Kanata. He’s a very outgoing guy who is always filled with confidence and he is determined to make this the best camp experience yet. Everything he planned goes out the window though when a portal appears and swallows everyone up. They all appear millions of light years from their planet and nearly die, but fortunately they put their helmets on first. They manage to get onto a nearby space ship and must now try to make their way back. Unfortunately the ship is low on fuel so they’ll have to make many stops along the way. This will be a very dangerous journey and none of them were exactly prepared for this, but they’ll try their best. Kanata must lead the group and get them all to team up. On his team he has an airhead, a sullen teen with a bad attitude who has a gun, a super shy girl, a really mean girl, an overconfident genius, a rich guy, and a mild mannered being who transcends human limitations. This would be pretty easy, but Kanata has to keep one more thing in mind which forces him to keep his guard up. The controls to the ship were sabotages which is partially why they have to make so many stops. Someone intentionally caused the portal to send them into space and then someone sabotaged their ship after they got one. Clearly one of the students in the group is a traitor who intends to destroy them all and Kanata has to find out who it is before they’re all space food. Kanata makes for a pretty good main character. He’s definitely very gung-ho and is always giving the other characters good lessons in life. They may seem obvious at first, but they’re all true and it works as a great morale booster. I think it’s fair to say that without him the crew would have absolutely been doomed. They just wouldn’t be able to make it ahead without his natural leadership skills. At first he and Aries have a gimmick where they mishear things or say something that’s a little off from what they mean, but fortunately this vanishes pretty quick. There’s pretty much nothing not to like about Kanata. If anything he probably forgives people a little too quick which is definitely a quality most leads tend to have. Aries is a reasonable heroine. Her perfect memory is definitely a good skill to have and comes in handy more than once. Like Kanata she can be a bit of an optimist which sometimes works like a weakness. When the characters are trying to get to the bottom of some truths and plot twists she always tries to stop them so the atmosphere doesn’t get too tense. I can understand that but at the same time this is information that they really need to know sooner than later. She can also get a little upset at Kanata even when the lead didn’t mean to do anything. He just has no time to worry about personal dramas when he’s saving the ship. Quitterie starts out as the rather mean/arrogant member of the group, but she quickly mellows out. It’s probably just the biggest switch for her going from being a rich girl to suddenly trying to make ends meet in space. It’s like going from a 5 star hotel to a random motel. Still, she’s always a fun character to have around and is one of the better members. Funicia is Quitterie’s younger sister and she’s definitely good. Despite being a kid she’s never actually annoying and tends to be quite wise for her age. She’s patient with the rest of the characters and even when she doesn’t get the approval that she was hoping for from Quitterie, Funicia takes it pretty well. Then you’ve got Zack who is basically Kanata’s right hand man. As he is able to fix the ship several times the group would have been absolutely doomed without him. On a long term mission like this one you really need an engineer. He makes sure that everything is running correctly and is typically the first to notice when something suspicious is happening. His romance with Quitterie isn’t the best though. I don’t blame her for being rather upset since he constantly acts like she is a nuisance and doesn’t want to be involved with her despite him suddenly claiming obliviousness by the end of the series. No one was buying it. Luca definitely likes trolling the characters quite a lot due to the fact that he keeps changing gender identities whenever he feels like it. It’s certainly an interesting development. Unlike the others he has already overcome a lot of personal demons and so the twists don’t hit him as hard as they do the others. He probably has the least amount of slumps out of all the characters because he always tries to see the silver linings. Meanwhile Charce is a rich guy who really loves animals and plants. He enjoys travelling on these planets just so he can see all of these new things. He tends to keep to himself more than some of the others, but he’s always ready to run onto the field and help out however he can. Ulga gets a lot of focus early on in the series. After all, he makes it clear that he doesn’t want to be friends with the others and he has a gun. It’s hard for anyone to trust him and in a small ship like what they have, a gun is a very powerful advantage. As the series goes on Ulga opens up more, but he simply isn’t as chatty as the rest of the characters so he always sticks to himself to an extent. Likewise, the same can be said for Yun as she just doesn’t talk much. She’s very timid and we find out the cause to this through her backstory. Naturally all of the kids have some kind of emotional origin story and the series does a good job of spacing them out. Typically you can expect 1-2 per volume. As such, each volume gets some story developments in the past and the present. The vast majority of the series is about the kids in space, but occasionally we get a few scenes back on Earth where we follow the adults and see what they think of this. After all, a bunch of kids just vanished off the face of the Earth. You can bet that people are a little panicked back home. It’s always nice to see these meanwhile scenes but they are very rare. I feel like we only got 2 in the whole series. There just wasn’t much time I suppose with only 5 volumes to work with. As I mentioned, we get a bunch of twists during the final two volumes of the series. I’ll admit that at first I thought the series was going to get real crazy. We were going to get some dimension hopping, time travel, aliens, and stuff like that. Instead the series decided to stay pretty realistic so all of the twists have some logic behind them. One involving history will still feel like a big stretch to be honest, but I guess it could work. You just gotta assume that there are a few more things behind the strings as well. At the very least you can’t say that the series was playing it safe with these twists. It was all handled pretty well. I do wish we could have gotten something a bit different from the classic “flash forward to when everyone is an adult” endings though. Especially as the designs just aren’t great. You’d think that the characters would have resisted their fates. I also thought the humor for the series was handled fairly well. As I mentioned, quite a bit of it involves Kanata’s random fun facts. The scenes can be pretty funny but it isn’t forced. The series is pretty light in general even though it can get serious when necessary. You might rarely feel like the characters are ever in any real danger, but you’ll still be interested from start to finish. It’s a real page turner. This is a good example of a solid manga that didn’t need action to take it to the next level. There are only a small handful of action scenes, the rest is all about adventure. The Godzilla netflix series could have taken a page from this one’s playbook on how to do a proper survival story. Naturally I won’t say which student is the traitor, but I will say that it was game over for that character. It’s hard for me to regain any respect for that character after pulling such a stunt, especially so late in the game. You just can’t make such a mistake like that and just apologize. The series does a good job of putting the traitor plot in the background though. It’s easy to forget that the plot is even still going towards the end of the series so it makes the whole thing even more unexpected. Overall, Astra Lost in Space is definitely a fun manga. The premise is good and the execution was on point. The pacing is solid and the characters are enjoyable enough to hold their own stories. There’s really not much to dislike here and it really captures the thrills of a space adventure. It’s a shame that it was so short, but this is the kind of plot where if it goes on too long then it would probably turn into a whole different kind of story. If you haven’t read this manga yet then I would recommend changing that. After all, an anime is coming out soon so you’ll want to be ready for that. This is definitely a fairly obscure manga. It’s off to a reasonable start. I wouldn’t say that it is particularly exciting compared to most of the other big titles but it’s not bad either. 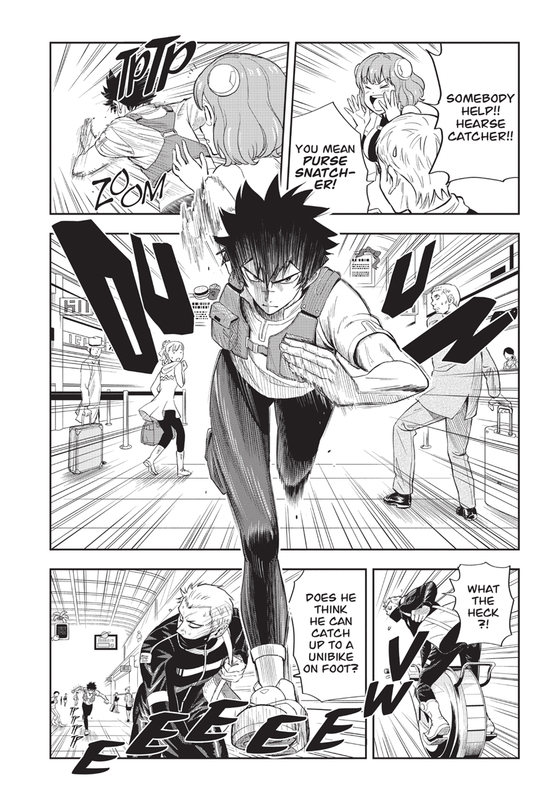 I think the manga just needs its stride and then it can go to the next level. The question is whether it will find that stride in time. I’ll have a review for the series up when I have finished it.